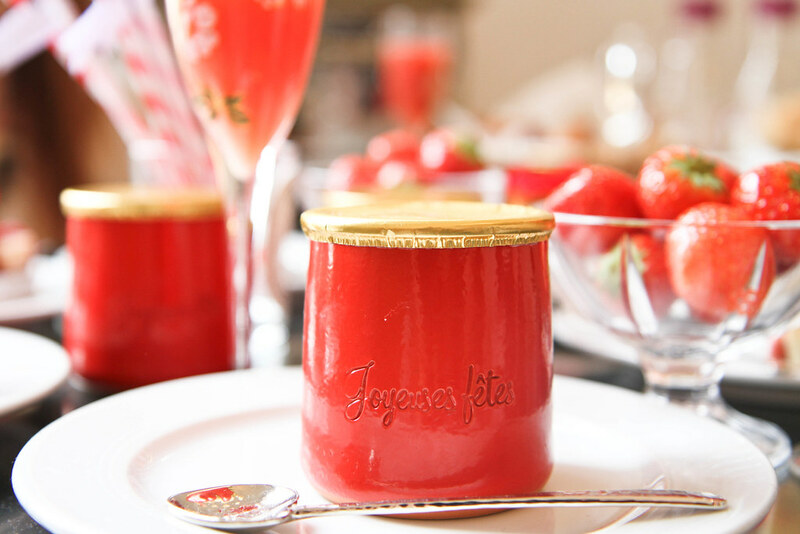 In celebration of the Ispahan fetish collection at Pierre Hermé, I decided to host a little brunch at the apartment. Everything was pink and everything was raspberry flavoured from the granola to the jam to the juice. 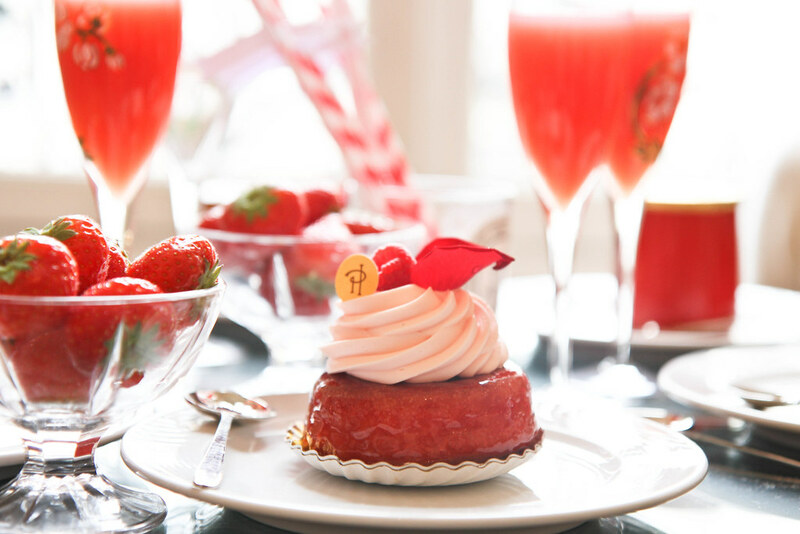 My favourite patisserie in the world is the classic Ispahan so as soon as I heard the news of a whole collection I immediately thought of a brunch being the perfect occasion to indulge. I love hosting so much; partially because I love preparing everything and making it look as perfect as possible, but more importantly because I love getting a few of my favourite people together. 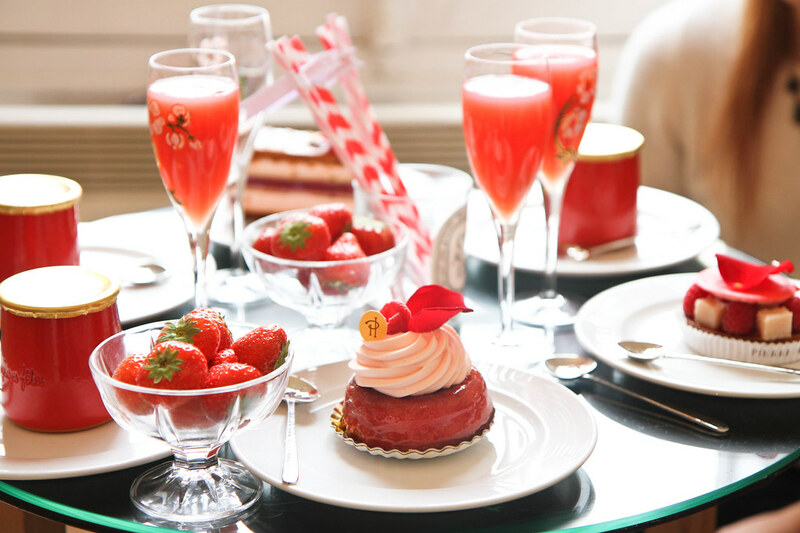 All of the guests among them the loveliest Ylenia, brought something from the collection to create the girliest of brunches. 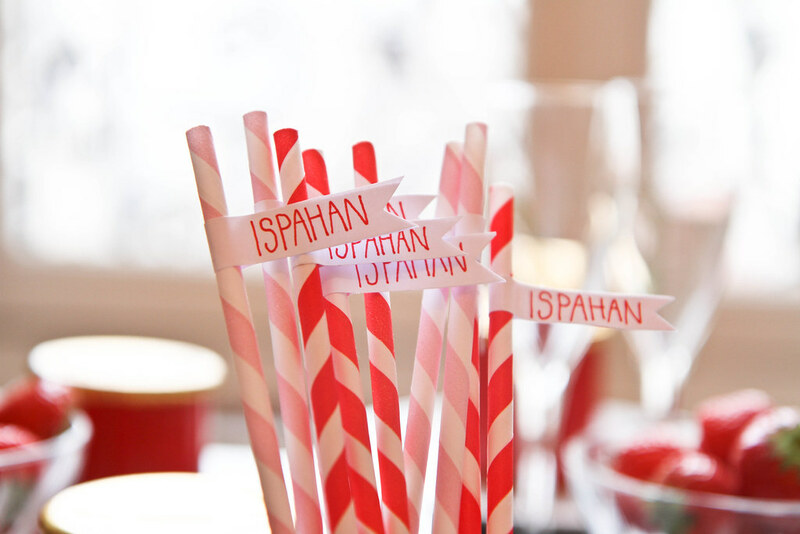 Little details like heart-shaped silver spoons, ceramic yoghurt pots and handcrafted straws are what make it so exciting for me! God, that looks gorgeous. Can I come over next time I visit?! 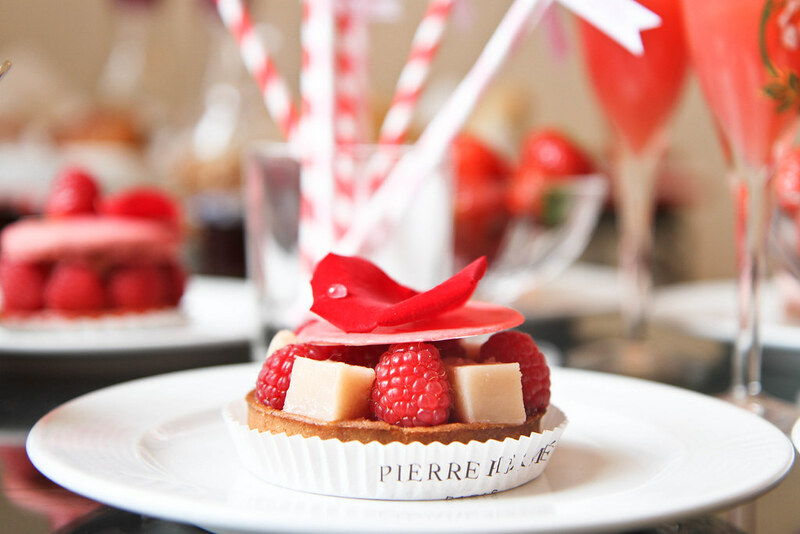 Also, mmmmmmmmm, Pierre Hermé! Also, your layout is amazing. Can I ask what it is? I really love yours & just followed you.. I am so jealous you live in Paris. It’s my dream to move there someday too. Omg, everything looks so delicious I am hungry now! Love this post! Haha when I was looking back through the pictures I couldn’t help but crave them all! What a beautiful blog. I find myself adding your blog to my reading list, and really do enjoy your post on my commute to and from work. It seems an excellent and yummiest post. 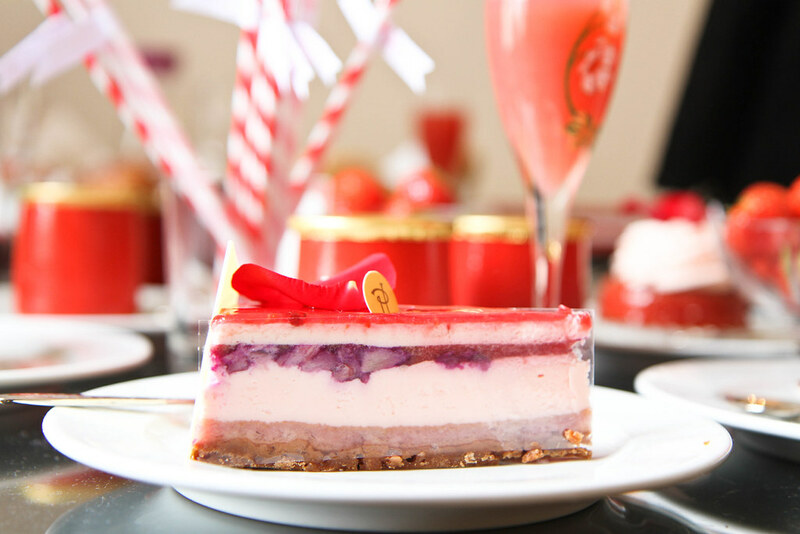 Everything in pink looks so delicious and after reviewing this post I’m feeling hungry now. BTW the idea is good and you also look gorgeous! Wow, that’s one hell of a brunch! Everything looks delicious! Haha thanks yes it was so yummy! More gorgeous than I could have imagined! 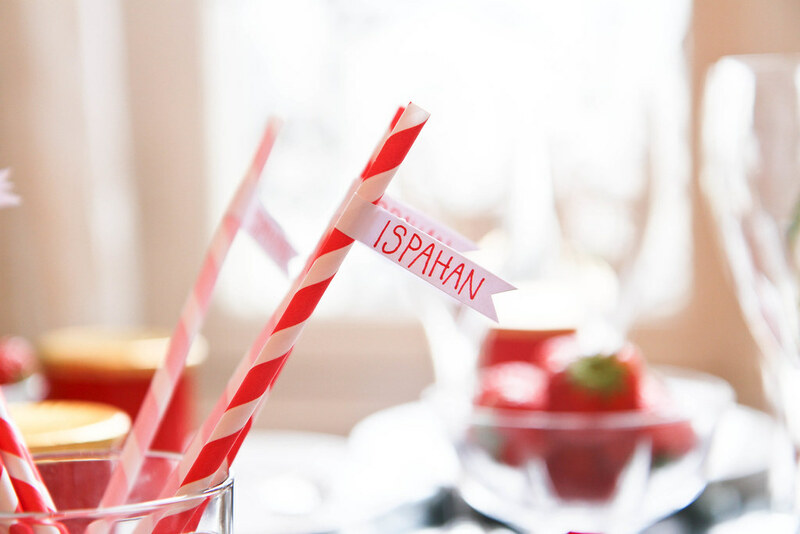 I love the little Isphan flags — adorable! SO sad I missed it!!! Please do it again some time! So glad you had fun! Oh my goodness, it looks incredible! Yum! This looks so delicious! I love hosting parties too, but it never ends up looking as put together as yours! Ahh thank you oh I’m sure they do! I thought these photos looked familiar! Ylenia was there! 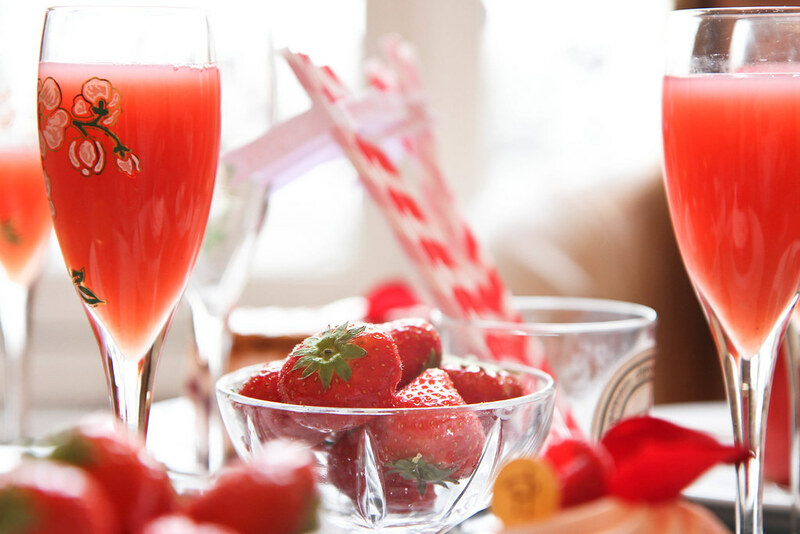 Looks like such an amazing brunch! I wish I could have been there! Everything looks so lovely and delicious! 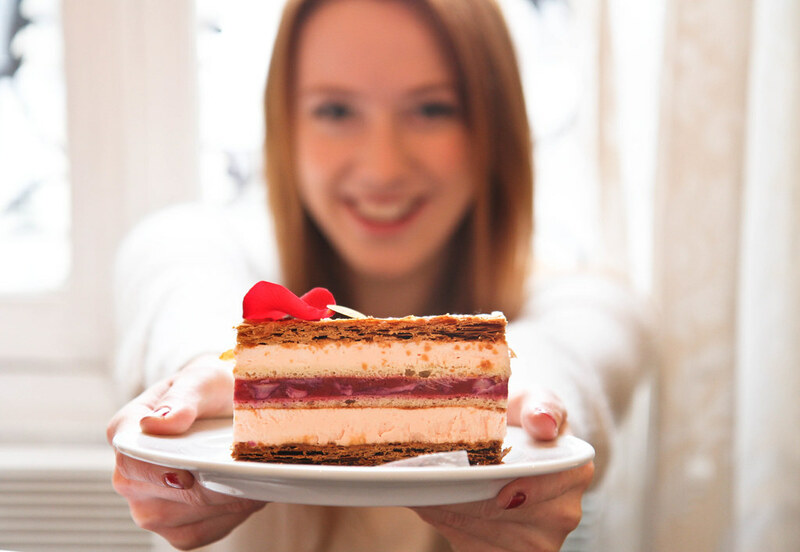 Now, you made me curious to try this dessert. 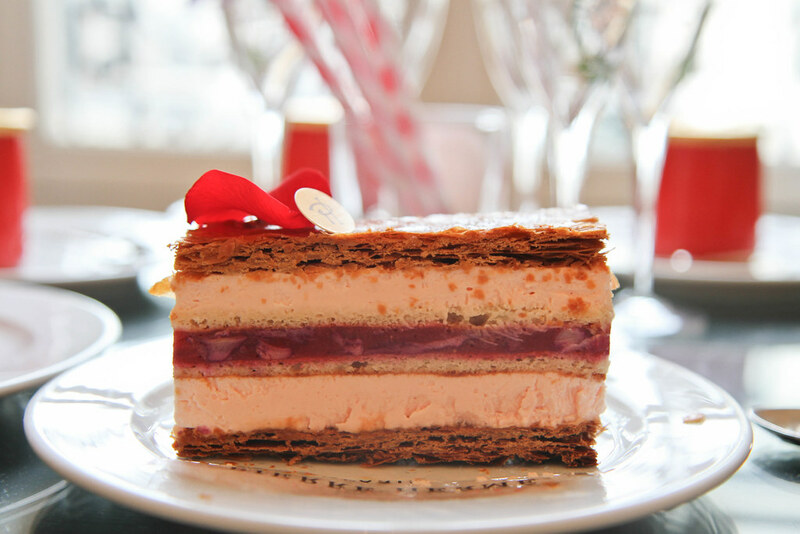 Do you know if Laduree makes it? 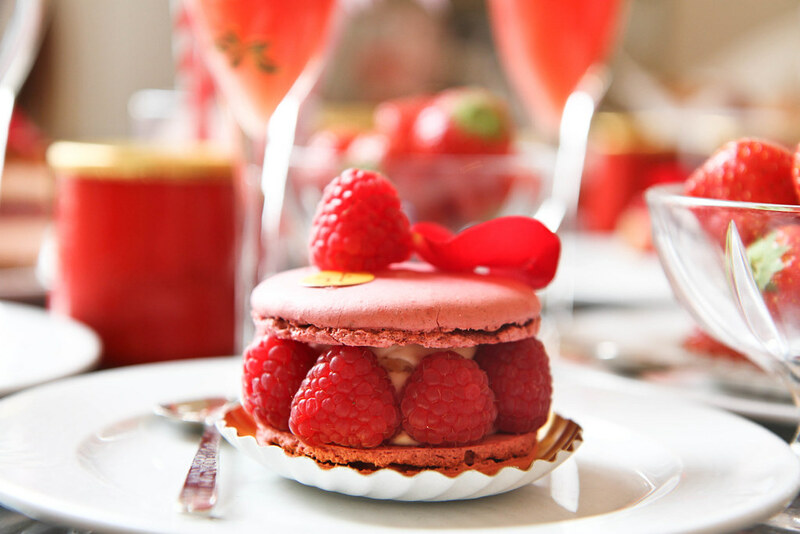 Obsessed with Ispahan! I just discovered your blog and love your photos. Bravo. Oh thank you so much! I know I think anyone who tries it instantly becomes obsessed it is simply too amazing!